Canon offers a high-magnification standard zoom lens with 5X zoom ratio, ranging from wide-angle of 28mm to medium-telephoto of 135mm. 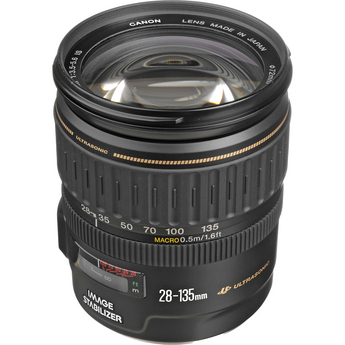 This lens features a built-in compact Image Stabilizer (IS) unit, which is newly developed for this lens. This compact IS unit and a compact optical system with multi-lens-group zoom design achieves compact and lightweight design of high-magnification zoom lens. The IS system is the same as other IS lenses. The image stabilizing effect is equivalent to about two steps of shutter speed. The optical system uses a molded glass (GMo) aspherical lens element (14th) to provide sharp definition throughout the entire zoom range. 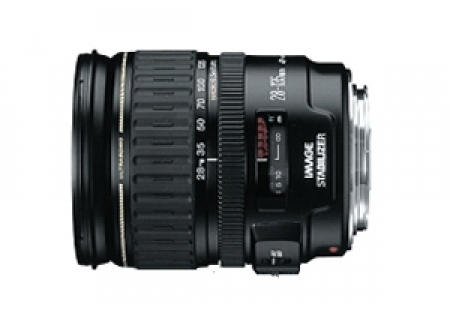 A ring USM (Ultrasonic Motor) and inner focusing system assures silent and high-speed AF and full-time manual focusing.